Made in the heart of the Bas Armagnac region, The nose, intense and a bit rustic, offers aromas of hay, pepper and rancio. The aromas in the mouth turn out to be finer than on the nose, some rancio blended with nuances reminiscent of brandied fruits. Fairly long and intense aromatic persistence. 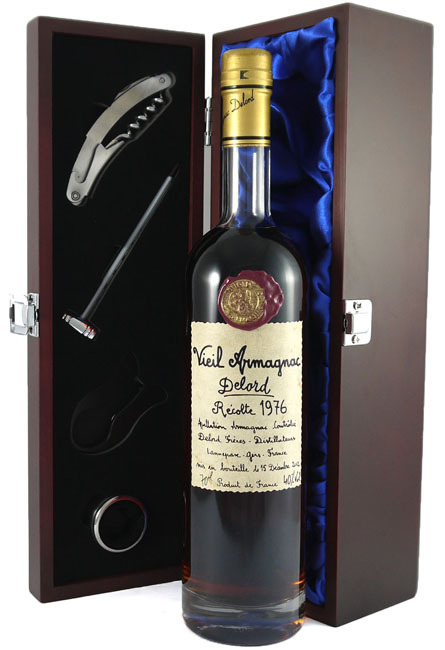 This wonderful armagnac makes an ideal gift for someone born in 1976.